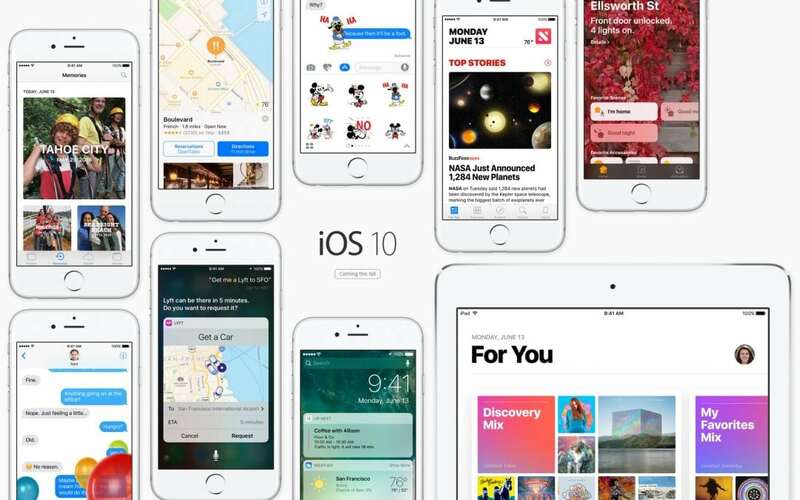 iOS 10, the latest version of Apple’s operating system for the iPhone, iPad, and iPod touch, is due this fall. The majority of its changes should improve your overall experience (and the rest you can hopefully ignore or reverse). Most evident among iOS 10’s modifications is the new behavior of the Lock screen. Previously, you could slide the screen to unlock (and enter your passcode) or merely rest a finger on the Touch ID sensor. But as the Touch ID sensor became faster, it became too easy to unlock before you had a chance to read notifications appearing on the Lock screen. In iOS 10, you must press the Home button to unlock, after which the Touch ID sensor activates or iOS asks you for your passcode. To make it faster and easier to get to the information and tools you want, you can now slide right on the Lock screen to display Notification Center widgets or left to access the camera. In a long-awaited enhancement, Apple has opened Siri up to developers so you’ll be able to use Siri to control at least some third-party apps. In iOS 10, Siri will initially support six types of activities: audio/video calling, messaging, sending and receiving payments, searching for photos, managing workouts, and booking car-sharing rides. Apple is moving carefully here, and we hope to see the company letting developers do more with Siri in the future. Apple says that Messages is iOS’s most used app, so it’s not surprising that Messages gains numerous new features in order to compete with apps from Facebook, Google, Snapchat, and others. For those who enjoy emoji but have trouble entering them, the QuickType bar in the Messages keyboard suggests them as you type, and if you switch to the Emoji keyboard in Messages, it highlights words (like airplane or hamburger) that it can convert to the corresponding emoji (✈️ ). You can send handwritten notes scrawled with your finger, a stylus, or an Apple Pencil. Messages also gains the Apple Watch’s unique Digital Touch features, which let you send a sketch, a fireball, a kiss, and more with particular tap combinations—you can even overlay these animations on a photo or video. For even more pizzazz, bubble and screen effects jazz up your messages or the entire screen when the recipient views them. Finally, the new tapback feature lets you respond quickly to messages with icons without typing. 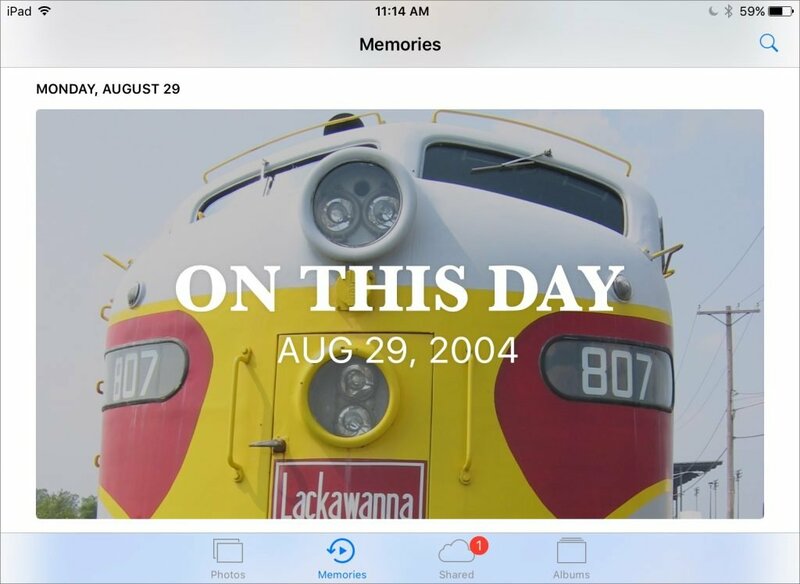 We all have trouble revisiting photos we’ve taken in the past, so Photos in iOS 10 (and Sierra) introduces Memories, which automatically builds slideshows of existing photos. It assembles collections of photos from the same day in previous years, trips you’ve taken, and more. You can “favorite” a memory if you want to keep it around, or delete it if it doesn’t contain photos you want to see again. Photos also gains facial recognition capabilities and a People album that you can use to pull out pictures of friends and family members, but even more impressive are its object and scenery recognition capabilities that enable you to search for photos that contain, for instance, cats, oak trees, or desert landscapes. Plus, a new Places album lets you browse your collection by location—alas, you can’t add a location to a photo in iOS. Although those are the major new features in iOS 10, the update abounds with additional improvements. Take Safari. You can now use Apple Pay within Safari to pay for purchases on Web sites, Safari prevents videos with sound from auto-playing, and Split Screen can show two Safari tabs side-by-side. Elsewhere, Maps now automatically records where you park your car, helps you avoid tolls and highways, and lets you add stops along a route. Control Center gets a redesign and multiple panes to simplify media control. In Notes, multiple people can work on the same note at once. And finally, a new Home app provides a centralized spot to configure and control all sorts of home automation sensors and switches that are compatible with Apple’s HomeKit specification. As always, iOS 10 will be a free upgrade, but it won’t work on every device. You’ll need an iPhone 5, fourth-generation iPad, second-generation iPad mini, or sixth-generation iPod touch—or anything newer than those models, including any iPad Air or iPad Pro. If your device can run iOS 10, we recommend upgrading when you have a little time to become familiar with the new features, since many of them are welcome improvements.